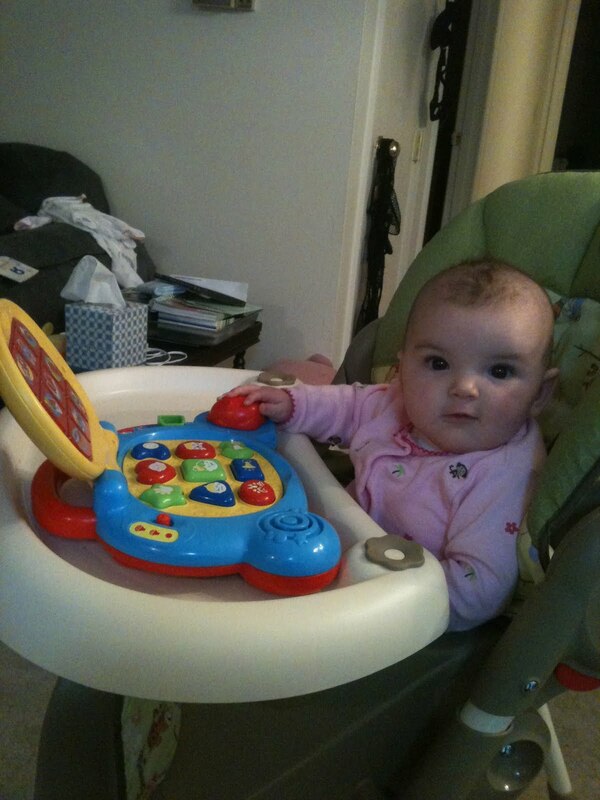 It's time for another installment of "My Favorite Things." I guess technology is being integrated even earlier into our children's lives. 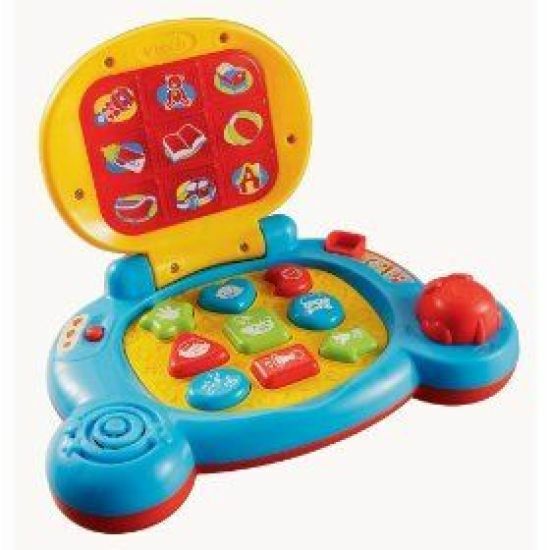 Whenever CeCe needs a distraction, I flip the switch on her V-Tech Learning Laptop. Her face lights up brighter than the light bulb behind the plastic screen every time. The computer mouse is cleverly a little mouse. Like the animal. Get it? I get a good chuckle out of it. The laptop plays music and identifies household objects such bathtub, book and teddy bear. Ce has a blast slapping the buttons and opening and closing and the lid. Whether she is updating her Facebook status or working on some spreadsheets for work, Ce gets plenty of use out of this beloved Christmas present.